Historians have long been interested in the huge numbers of vagrants who trod the roads of early modern England, David Appleby writes, and whether the ‘rogue’ literature of the time genuinely reflected (or incited) a widespread panic about such travellers. Their enquiries have fed into a wider debate which seeks to understand how communities grappled with the growing problem of the poor, and in particular the criteria by which individuals were found to be ‘deserving’ or ‘undeserving’ of charity. Few of these studies give any thought to vagabondage during the Civil Wars; indeed, one could easily assume that the horrific mortality of the conflicts in the British Isles in the mid-seventeenth century reduced the flood of vagrants to a manageable trickle. Similarly, despite being stock figures in the popular literature of the period, ‘wandering soldiers’ have previously attracted little more than a passing mention in military and political histories of the Civil Wars. In ‘the third army’ I investigate the plight of thousands of deserters, demobilised soldiers and escaped prisoners-of-war, and their reception in the civilian communities through which they passed. Utilising parish documents, legal records, state papers, plays, ballads and other popular literature, the article argues that historians have seriously underestimated the scale, complexity and significance of the problems caused by unsupervised ex-soldiers during the Civil Wars and Interregnum. 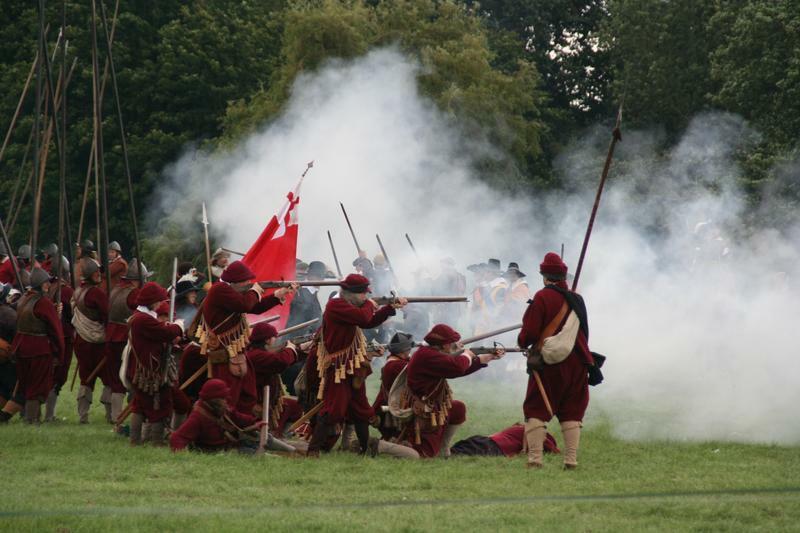 For example, General William Waller lost around 3-4,000 men to desertion following his defeat at Cropredy Bridge in 1644, whilst a staggering 8,000 soldiers went missing after the battle of Naseby in June 1645. It has been estimated that 6,500 of these had deserted from the victorious New Model Army. If the scale of the problem was unprecedented, other aspects were well understood by local officials. There were historical precedents and a recognisable cultural iconography to the problem of the ‘wandering soldier’. As a result, many parish officials (particularly in areas straddling major routes and traditional embarkation areas) were able to identify different categories of unsupervised ‘wandering soldiers’. This was important, as officials needed to know whether the wandering soldier facing them was merely a economic burden, or a significant physical threat. Some were relatively harmless demobilised serving-men and released prisoners-of-war, whilst others were more menacing, armed and (more pertinently) experienced in blood-letting. However, even a placid individual could cause problems, as a diseased soldier could potentially kill far more villagers than a violent one. One of the assumptions the article seeks to challenge is the received wisdom that demobilised soldiers and deserters all went home. The recruiting patterns of Civil-War armies followed well-established precepts, in that almost all the cavalry were volunteers and the vast majority of the infantry were conscripts. A large proportion of these conscripts were unmarried, unskilled males, often described in official correspondence as ‘unnecessary persons’ and ‘men of the least livelihood’. Home had very little to offer such men, even if they had a parish of settlement to which they could legitimately return. This had all sorts of implications for war-related population displacement, which contributed to the country’s subsequent economic dislocation. The final section of ‘The third army’ considers the efforts made by the military and political authorities on both sides of the conflict to prevent desertion, to police ‘wandering’ soldiers and to rehabilitate demobilised soldiers in civilian communities. These tasks were not simply undertaken for the purposes of maintaining their respective war efforts, but in the realisation that failure to act might jeopardise the long-term stability of civil society. In fact, Parliament was reasonably successful in containing the problem, or at least concealing it. Despite the huge numbers of ‘wandering soldiers’ involved (and the fact that they represented far more of a threat to civilian communities than their forebears), the worries articulated in Elizabethan and Jacobean ‘rogue’ literature did not reoccur.